The largest Cannabis party in the Med. A cargo ship containing 30 tons of hash was set alight in the Mediterranean creating a massive drifting cloud of marijuana fumes. 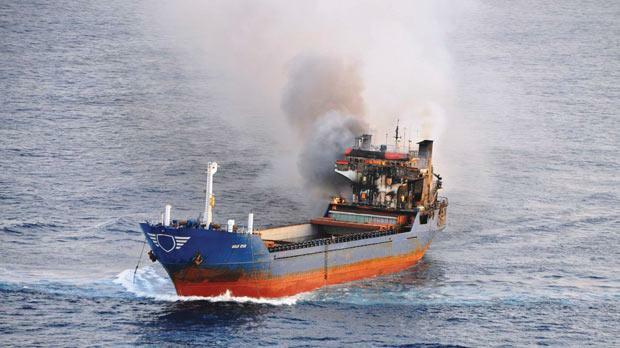 A group of smugglers set fire to their cargo ship to stop the Italian Finance police and Maltese police from gate crashing the party confiscating their hash. The slightly charred and smoking MV Gold Star, was sailing under the Tanzanian flag, and had been monitored by police for 3 days before boats and aircraft were sent out to gate crash the party apprehend the ship. The ship’s nine-man crew then began to set fire to the cannabis concentrate before diving overboard into the sea. 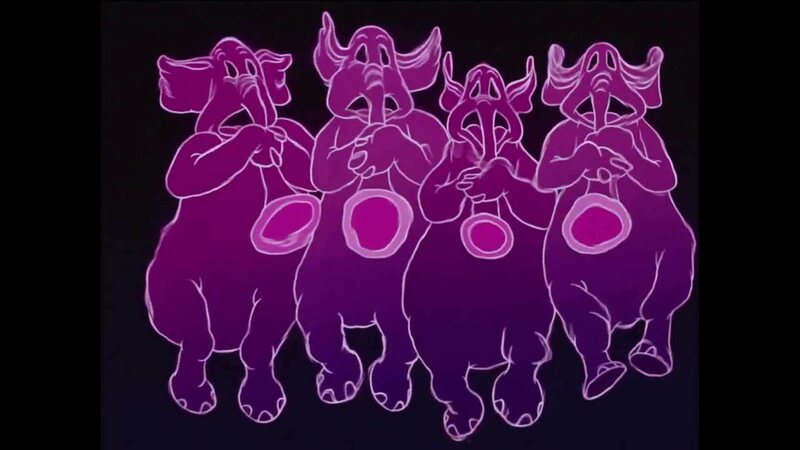 Pink Elephants in the sky, Crazy Man! 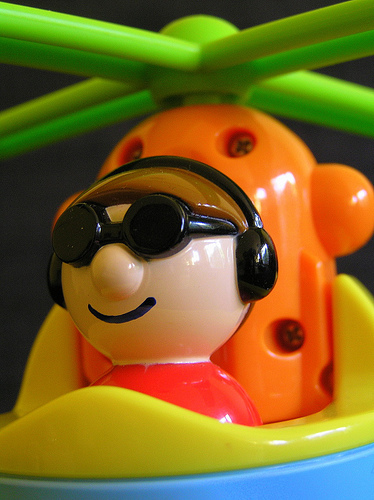 Despite several calls to the helicopter to tell them they were no longer needed, the helicopter continued to fly round in circles and an awful lot of giggling could be heard over the airways. The smoking ship was towed to the Sicilian port of Siracusa where people partied the night away the soggy smugglers are being held for questioning. 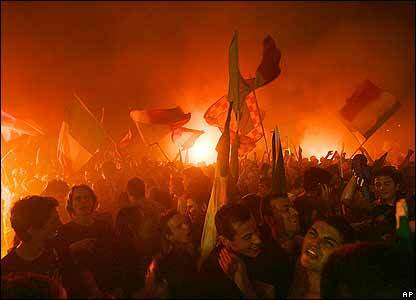 The people of Siracusa partied all night….. I knew a California firefighter whose happiest time at work were the days after discovering an illegal plot of pot. Who knew controlled burning could be so fun?! is that taken from the latest edition of “Ganja Ganja Times”? The Maltese are running out of electric, so someone had a bright idea, lets connect to ENEL in Sicily. Duh!! yep I remember reading that post, looked like the colourful glass we use for mosaic…. Oh my. I really laughed as I read this post. The best part was after seeing the pic of Fleabag doing a yoga pose. I don’t know why the part of the Fleabag not leaving you alone was so funny. I love watching all the firefighters and police standing around watching a pot field burn, they aren’t watching the fire they are getting their buzz on. And if homes are nearby, you know all the neighbors are experiencing a high as well. Love fleabag, perfect touch to the story. Was the skipper the lad on the costa Concordia? 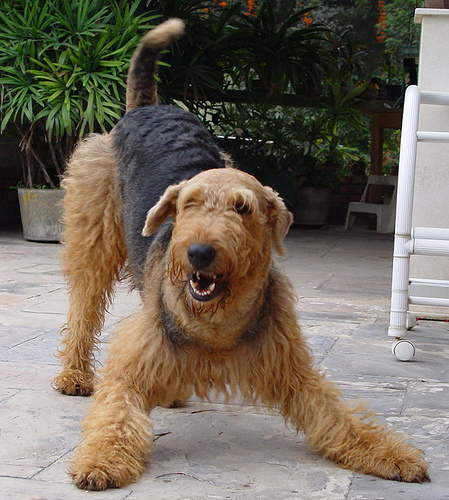 Oh, any post with a picture of an Airedale Terrier makes me giggle. They have such a marvelous sense of humor. I love them they are as mad as hatters, this is not my dog. I keep asking Mrs Sensible if I can have one, but to date she said one mad animal (ME) in the house is enough. Too funny. We have a ‘dale and he is barrels of fun. But he can be a handful!